Preferred Provider Organization (PPO) Plans can provide great coverage and flexibility by allowing you to use doctors, hospitals, and providers outside your plan’s network. You can save money by staying within the network, but you have the option, at additional cost, of going outside the network for medical services. The cost of joining a PPO Plan can vary widely depending on which plan and company you choose. Although insurance companies offering Medicare Advantage plans have to follow certain rules set by Medicare, companies have flexibility when it comes to setting out-of-pocket cost requirements. There are many important details to sort through, and MedicareMall is eager to help you determine which PPO Plan may or may not be right for you. PPO and other Medicare Advantage Plans always cover emergency and urgent care. 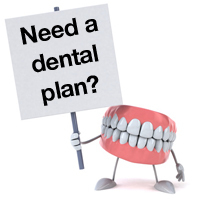 MA Plans can also provide additional coverage in various areas of health including dental, vision, and hearing, and most plans include prescription drug coverage. Availability of Preferred Provider Organization Plans can vary from area to area. To find out what’s available where you are, you can contact MedicareMall toll-free at 877-413-1556 or visit www.medicare.gov. You can also find some great information about PPOs and other Medicare Advantage Plans here. You should be aware that any Medigap plan you have will no longer pay deductibles, co-payments, or other cost-sharing under your Medicare health plan if you enroll in a PPO or another Medicare Advantage Plan. Although you have a legal right to keep your Medicare supplement plan after signing up for Medicare Advantage, it may not be to your advantage to do so. If you’d like to know more about PPO Plans, one of our licensed, bonded representatives will be happy to answer any questions, discuss all the options with you, or even help you enroll within minutes in the plan of your choice. Contact us now and we’ll make sure you’ve got the coverage you need at a price you can afford.